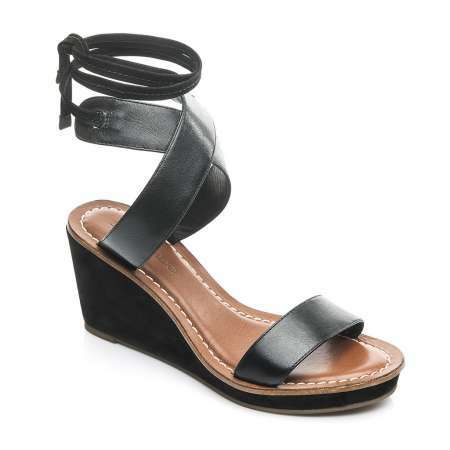 These tie up the ankle sandals feature a 1" platform sole with a 3.5" stacked wedge for an extra lift. The front strap, back post, and soft padded insoles are made of rich leather, and the elastic ankle straps ensure comfort and a perfect fit. Stay comfortable all day long with the shock-absorbing EVA and rubber sole.